The SealSkinz Walking Thin Mid Sock is a lighter weight sock for a multitude of activities, where minimal insulation and maximum breathability are required. Constructed from Stretchdry waterproof, breathable and windproof technology with a new soft touch polyropylene outer fabric to give you a softer shell with the same hard wearing properties you've come to expect from SealSkinz. The Merino wool lining offers enhanced moisture control and comfort whilst the elasticated ankle and instep offers additional support. 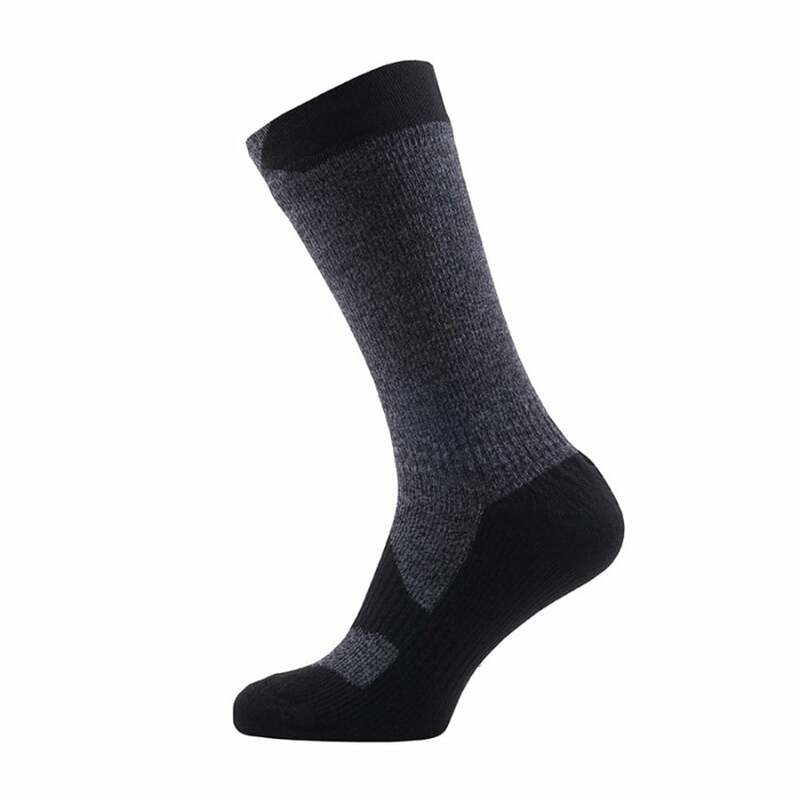 These socks also feature a Y-gore heel construction to provide a secure comfortable fit and hand link toe closure that creates a flat seam to prevent rubbing.